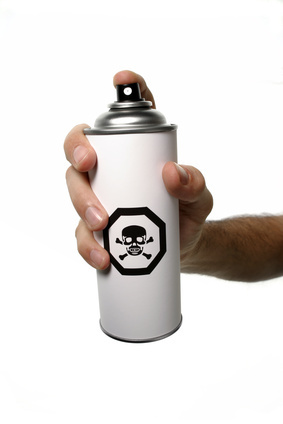 One Percent Health: Are Your Air Fresheners Releasing Dangerous Toxins? Phthalates have been linked to a range of health problems, and many popular air fresheners are full of them. So, whenever you spray your home with an air freshener, you’re not only freshening up your home with your “scent-of-choice” — you’re also inhaling a potentially dangerous chemical that’s been linked to several diseases. The research is pretty clear: Conventional home air fresheners are not a safe option. Fortunately, alternatives exist that are much safer and just as effective. In case that’s not enough for you to switch, let’s take a closer look at the dangers of phthalates. Phthalates are added to fragrances to enhance their smell. It could be easy to avoid them if they were listed on the label; but they’re not listed because it’s not required by law. So, your air freshener at home may very well contain this ingredient. This was revealed after 14 air fresheners were examined in a laboratory. Surprisingly, they discovered that even some of the so-called “natural” home fragrance products contained phthalates as well. Phthalates have been making the news lately and are linked to problems like obesity,2 heart disease,3 and diabetes.4 There are actually multiple types of phthalates, and the ones found in air fresheners are specifically associated with reproductive problems. Phthalates, when inhaled, eventually make it into your bloodstream — or, they can simply be absorbed through your skin. Is this our fate as well? Maybe, when you consider that our endocrine system is very similar to rats. The good news is that you can have a fragrant home naturally. There are plenty of safe and natural scents to choose from. Consider essential oils for example. They have been shown to actually benefit your health instead of harm it. Research shows that essential oils support mood, sleep, and memory, and can even help with pain. So consider making your own air fresheners at home with these natural extracts. You can use a diffuser or make your own bottled spray. Many commercial air fresheners contain phthalates which have been linked to various health problems. Making matters worse, these phthalates aren't even listed on ingredient labels, so you can't identify offending products when shopping. So, instead of using store-bought air fresheners, consider making your own at home with essential oils. These oils are safe, effective, and even offer therapeutic effects. What more do you really need to know? Do you have a favorite essential oil? Please let us know about it in the comments! Available at http://www.nrdc.org/health/home/airfresheners/fairfresheners.pdf. Accessed September 25, 2012. Environ Res. 2012 Jan;112:186-93. Epub 2012 Jan 4. Atherosclerosis. 2011 Sep;218(1):207-13. Epub 2011 May 10. Environ Health Perspect. 2012 Sep;120(9):1307-13. Epub 2012 Jun 1. Toxicol Sci. 2006 Sep;93(1):164-71. Epub 2006 Jun 8. Evid Based Complement Alternat Med. 2012;2012:740813. Epub 2011 Aug 18. J Altern Complement Med. 2012 Aug;18(8):798-804. Epub 2012 Jul 31. J Psychopharmacol. 2011 Aug;25(8):1088-100. Epub 2010 Oct 11.